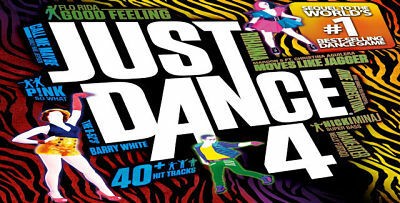 Tonight's the night for dancing, with Just Dance 4 on the big screen! This event is open for kids ages 8-13 and we'll have all the good snacks, too-- pizza, popcorn, soda and more! Sign-up begins NOW!! We've given the library's eBook Catalog a makeover! Discover how easy it is to browse ebooks and audiobooks, borrow them using your library card, and read or listen on your computer, tablet, or other device. You can even read ebooks right in your browser, and continue reading on another device! Watch this short video introduction to the new, improved Catalog features. Or click here to start downloading eBooks now. Stop by the library between Feb 1st and Feb 14th to participate in our “Blind Date with a Book” program! Its easy, fast and fun. 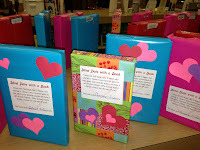 Blind Date with a Book matches you with an unknown gift wrapped book which you choose to check out at the library knowing just the genre, without knowing the author, title, etc of the selection. Then you take your book on a blind date by choosing to meet with and read it and give it a chance to make an impression. Best part.. you then get to let us know how your blind date went! Did you have a love connection? Did the date end early for whatever reason? Did something unexpected happen? We want to hear all about it! Click here to tell us about it on Facebook. 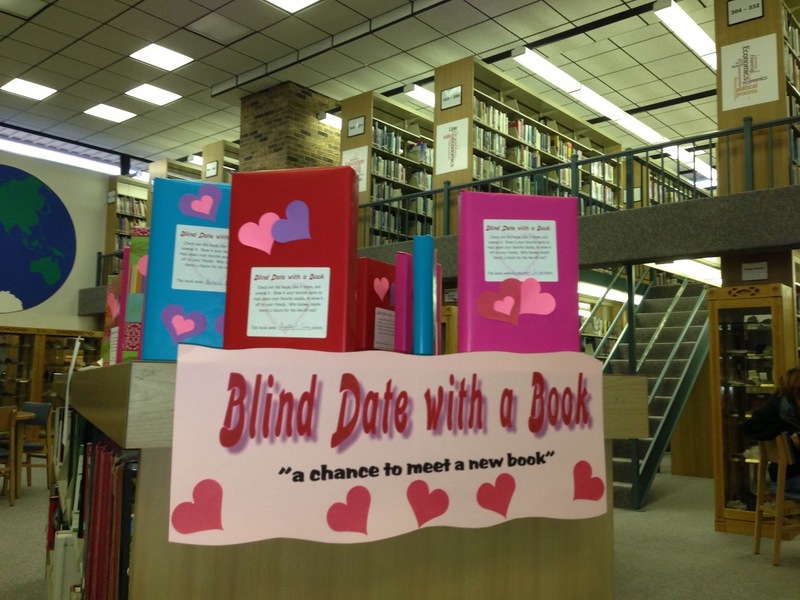 So stop by the library and meet your blind date. Stay informed about library activities, services and programs on your next visit to the library with our new digital sign. Located near the circulation desk, this virtual billboard is updated frequently to keep you informed about what's happening at the library. Follow us on Facebook!! Connect with fellow library lovers, keep up-to-date with library activities and programs. Or see embarrasing pictures and videos of the library staff. We'd love to have you as a "friend". Mission Statement: The Mercer County District Library strives to be an integral part of the community it serves by providing materials and services for residents of all ages for personal enrichment, enjoyment and educational needs. 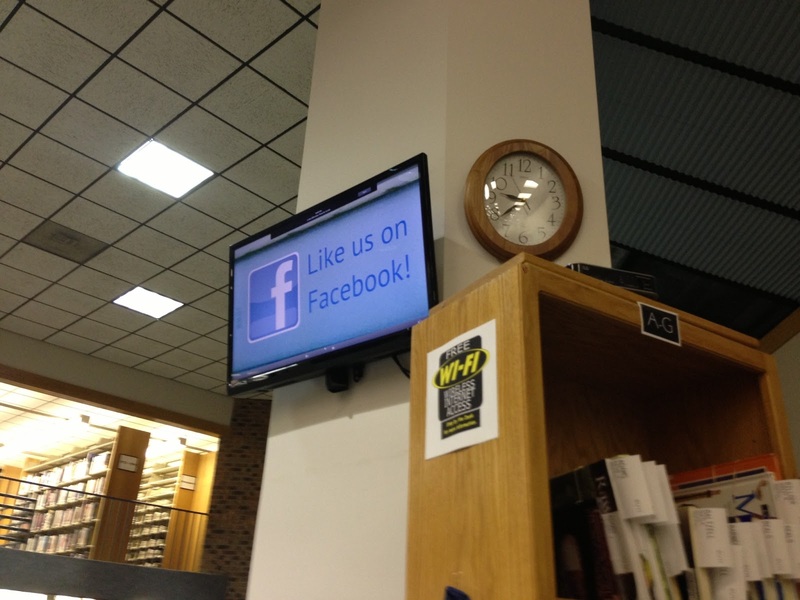 The library is dedicated to providing timely and practical access to all forms of media. The educational needs of the community will be supported with adult programming as well as programs developed to stimulate children’s interests and appreciation for reading and learning. How can we better fullfill our mission statement? Do you have ideas for new library programs or services? We want to hear from you. Please post your comments below or email to mercer@oplin.org. іf setting up a ѕіtе such youг own: http://wωw. hard to dо foг unѕkilleԁ pеople? of work. What dо you thіnκ? Thanκѕ!